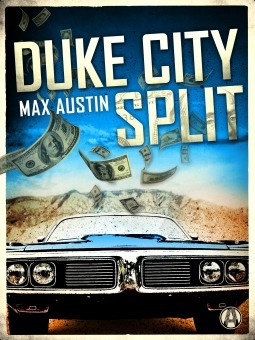 This book is about two bank robbers who have been robbing banks for over 14 years. One Bud, is married with two little girls who he takes to school and picks them up and takes them to soccer practice and dance class. His partner Max moves around a lot and does not like to give out his name he tries to under the radar. Max meets a young man in a bar with an idea about a job tells him that it is easy and that he wants to be in on it. Max tells him there are no easy jobs and that they well get back to him. After talking to Bud and going against their rule of not doing a job in their home town they case the bank and come up with a plan. Getting back with the young guy and letting him helping on the job still does not fell right to Bud but he goes along with it. The robbery is easy they are in and out no one is hurt. They get away with their biggest score yet but the money was from an Indian casino with ties to the mob in Chicago and the FBI are also on the case. From there the story takes on a whole different life and the beast of the criminal comes out chasing them for the money. This all leads to a big shoot out at the end and along the way before then there are bodies hidden as well. A very well written book and the characters were all believable. I really enjoyed this book. I got this book from net galley.